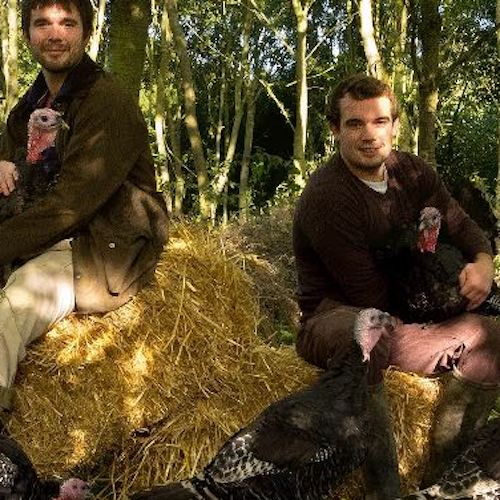 Stansfield woodland turkeys are produced on the Dennis family farm in Suffolk where we have been farming since 1927. Our turkeys spend their days roaming pasture and woodland as they would in their natural habitat. Slow rearing to full maturity ensures that our turkeys develop a flavour that cannot be achieved with mass reared, quick growing varieties. All our turkeys are dry plucked and game hung as would traditionally happen, to let the flavour mature. Turkeys reared by the TFTA farmers are the only turkeys to have been awarded the “Traditional Speciality Guarantee ” mark from the EU, which is a sign of our old-fashioned flavour and quality. Annual inspections ensure the TFTA farmers adhere to the strict standards that guarantee authenticity, provenance and quality. Choosing a Stansfield Woodland turkey, therefore, ensures that the centrepiece of your Christmas meal will be of succulent, deep flavoured meat the only comes from truly free-range birds reared to exacting standards.